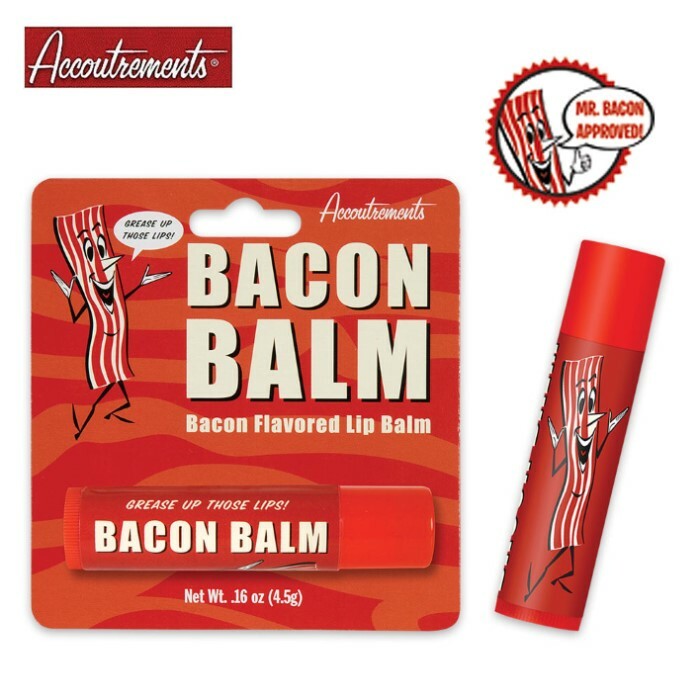 Bacon Lip Balm | BUDK.com - Knives & Swords At The Lowest Prices! 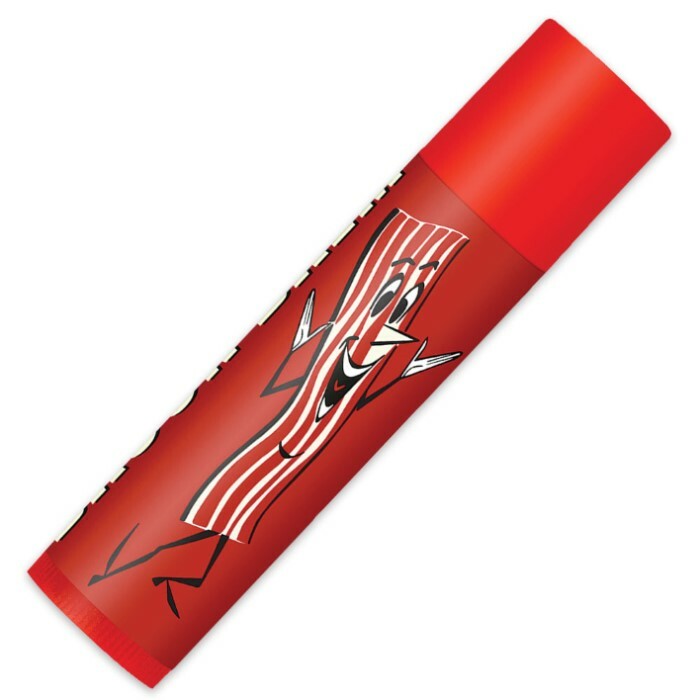 Just carry around a tube of the Bacon Lip Balm and you can taste that delicious cured bacon flavor all day long! Come on, we know you want to! 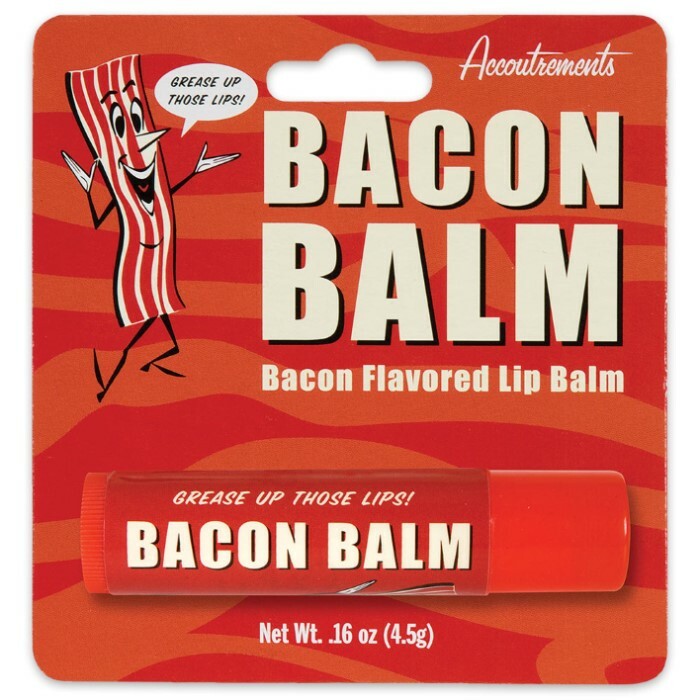 Your lips will stay moist and meaty around the clock. Each tube is 2 1/2” long with a twist bottom dispenser. Warning don’t forget and start chewing on your lips! Find some real bacon quick!